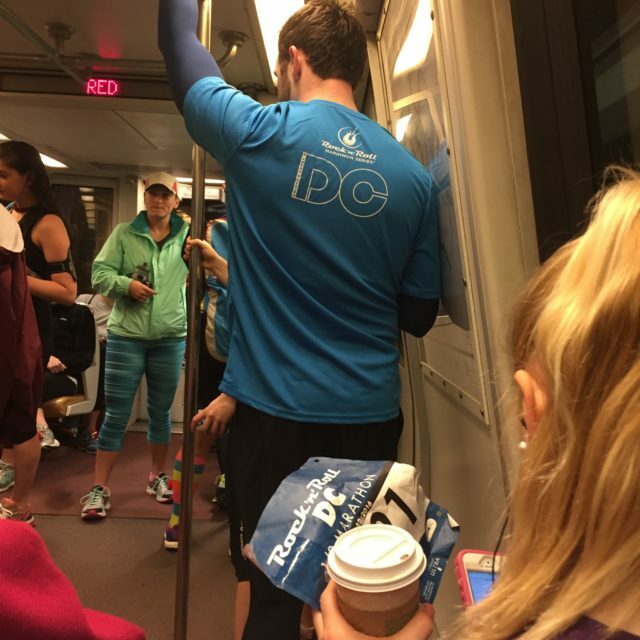 The early-morning Metro trains that take runners and spectators to the D.C. area’s largest weekend races won’t happen under the accelerated maintenance plan announced Friday by the Washington Metropolitan Area Transit Authority. It will be even easier for Patrick Benko to win during SafeTrack. In 2012, he took on a Sunday morning Metro commute, which RunWashington chronicled. WMATA’s SafeTrack plan for squeezing three years of maintenance into approximately one year includes a moratorium on extended hours to allow repairs to continue as long as possible, and the authority’s public reference document specifically mentions early openings. Over the last five years, all but one early opening were to serve a road race. The area’s six largest races in 2015 all made use of early Metro, the largest of which being mid-October’s Army Ten-Miler. To allow more than 25,000 runners to reach the Pentagon in time for a 7:55 a.m. start, the system has opened for years at 5 a.m. Additional security measures slowed many runners from reaching the starting line in 2015 and the race kept the start and finish lines up for 30 and 60 more minutes, respectively, to accommodate the delayed runners. Less than four hours after Metro’s announcement, MCM spokeswoman Tami Faram had only a preliminary response, promising more details later. WMATA’s plan is subject to change, and in the grand scheme of the year, two hours a day for a few races doesn’t seem like much, but since opening early for the Martin Luther King Jr Memorial dedication in 2011, all early openings since have been for road races, a WMATA spokesman confirmed, so for the WMATA document to specifically list early openings as a consequence of SafeTrack is significant. Metro also opened early for the now-defunct Nike Women’s Half Marathon, the Help the Homeless Walkathon and the dedication of the Martin Luther King, Jr. Memorial.